Win 2000/NT/XP/2003/Vista/7 Converting PDF to different file formats is a common task of processing documents. 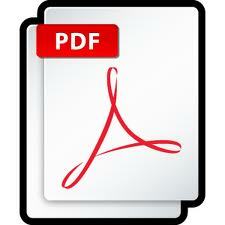 It solves problems of inability to edit information in PDF without expensive Adobe software. Total PDF Converter X offers handy convert PDF command line utility that can be used on a web server or in-built to any other web application. Each convert PDF command line mode is fully adjustable, you can define specific conversion parameters for any target format. For instance, converting PDF to graphic formats like JPEG, you can set specific quality, DPI, conversion type (all pages in one image or each page to a separate image file), etc. If it is a text format like Doc or RTF, you will be able to define such parameters as items to render (text, images, shape) or a page break symbol. Total PDF Converter X can even work in automatic mode if you install it together with Total Folder Monitor. It is a handy feature for multi-user systems, where it is necessary to process many conversion requests from different users. To save time on this you can adjust Total PDF Converter X to convert all files arriving into specific memory folder automatically with predefined settings. As an alternative you can use convert PDF command line mode that allows to convert files in batches manually. Converting in batches means you can convert files in groups, if they require the same settings. There is no need to convert them one-by-one, if you have Total PDF Converter X. You are welcome to test Total PDF Converter X for free or purchase a license per server.